The health risk of smoking is very serious. Some of the main health risks of smoking include cancer, lung diseases, and heart diseases. The U.S. Department of Health and Human Services (part of CDC) has outlined the damage smoking causes to the body. The 2014 Surgeon General's Report says that “smoking harms nearly every organ of the body” and “causes many diseases and reduces the health of smokers in general.” Tobacco smoking is the biggest causal factor of disease and death in the United States that is preventable. The number of smoking-related premature deaths in the US is about 500,000 each year and about 16 million individuals are affected by health conditions and diseases caused by smoking each year. The Surgeon General's Report also states that both smokers and non-smokers (who are exposed to tobacco smoke) are affected, with the estimated medical expenses and productivity losses due to smoking, amounting to over $300 billion annually. Tobacco smoke is a potent mix of over thousands of chemicals (per US Department of Health and Human Services), which are present in the form of solid particulates, liquid vapours, and gases. The harmful substances include tar, carbon monoxide, hydrogen cyanide, formaldehyde, benzene, methane, phenols, naphthalene, nitrogen oxides, and nicotine. Among these, tar, carbon monoxide, and nicotine are the three chemicals that cause the maximum injury to one’s health, both quantitatively and qualitatively. Metallic compounds and even radioactive substances have been detected in the smoke from tobacco products such as cigarettes, cigars, hookah, and bidis. In many cases, the presence of several toxic substances in smoke contributes to smoking-related diseases, and the effect is also compounded by these substances. According to US Department of Health and Human Services, tobacco smoke contains over 60 carcinogens that can cause cancers of the mouth and mouth parts, lungs, throat, gastrointestinal tract, stomach, liver, kidneys, and even bone marrow. The National Health Service, England, informs that over 90% of lung cancers are due to smoking-related factors. Studies have shown that one of the effects of nicotine (assisted by other chemicals in smoke) is that it can damage the blood vessels resulting in atherosclerosis, where fatty substances form on the arterial walls. This obstructs the blood flow and causes poor blood circulation, thereby increasing the risk of vascular diseases, coronary artery diseases, heart attacks, and strokes. Also, the heart muscles may be injured by certain highly reactive chemicals known as free radicals. Smokers fail to understand the grave health risks they pose to themselves and to those around them too, who inhale secondhand smoke. Pregnant women, newborn babies, and children are especially at a high risk. Miscarriage, stillbirth, and premature deliveries have been associated with smoking. Infants and young children may suffer from long-term respiratory damage and are also vulnerable to sudden infant death syndrome (SIDS). If you are currently a smoker and are looking to quit smoking, talk to your healthcare provider about the best way for you to quit smoking. Several smoking cessation products exist in the market today including nicotine gum and patches. Gulliford, M. C., Sedgwick, J. E. C., & Pearce, A. J. (2003). Cigarette smoking, health status, socio-economic status and access to health care in diabetes mellitus: a cross-sectional survey. BMC health services research,3(1), 1. Carlsten, C., & Burke, W. (2006). Potential for genetics to promote public health: genetics research on smoking suggests caution about expectations.Jama, 296(20), 2480-2482. McCann, T. V., Clark, E., & Rowe, K. (2005). 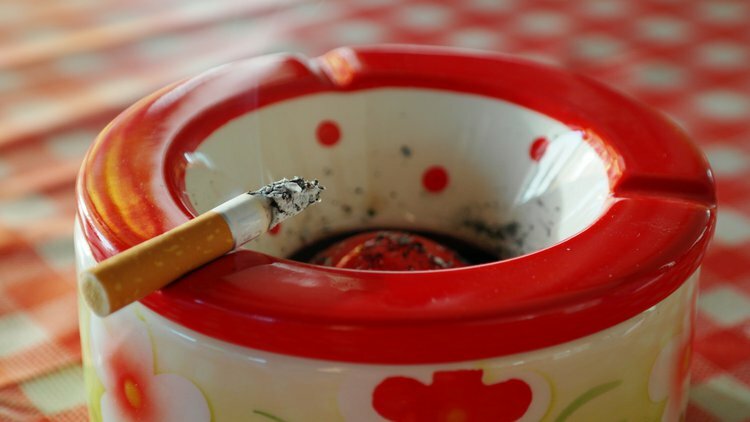 Undergraduate nursing students’ attitudes towards smoking health promotion. Nursing & health sciences, 7(3), 164-174. US Department of Health and Human Services. (2004). The health consequences of smoking: a report of the Surgeon General. Atlanta, GA: US Department of Health and Human Services, Centers for Disease Control and Prevention, National Center for Chronic Disease Prevention and Health Promotion, Office on Smoking and Health, 62.
WHO Study Group on Tobacco Product Regulation. (2005). Advisory note: waterpipe tobacco smoking: health effects, research needs and recommended actions by regulators. Scanlon, P. D., Connett, J. E., Waller, L. A., Altose, M. D., Bailey, W. C., Sonia Buist, A., & e Lung Health Study Research Group, D. P. T. F. T. (2000). Smoking cessation and lung function in mild-to-moderate chronic obstructive pulmonary disease: the Lung Health Study. American Journal of Respiratory and Critical Care Medicine, 161(2), 381-390. US Department of Health and Human Services. (2014). The health consequences of smoking—50 years of progress: a report of the Surgeon General. Atlanta, GA: US Department of Health and Human Services, Centers for Disease Control and Prevention, National Center for Chronic Disease Prevention and Health Promotion, Office on Smoking and Health,17.